The meteoric rise of the new generation of superstar Yankees, including Aaron Judge, Gary Sanchez, Greg Bird, and Luis Severino, now joined by Giancarlo Stanton—from the “inside baseball” strategy in assembling the roster, their fascinating paths to Yankee Stadium, and a mission to hoist the franchise’s twenty-eighth World Series championship trophy. Derek Jeter and the “Core Four” have passed the torch to a new generation of Yankees superstars—featuring Aaron Judge, Gary Sanchez, Luis Severino, and Greg Bird—who have powered through the minors to become stars on baseball’s biggest stage. Joined by reigning National League MVP Giancarlo Stanton, this thrilling group is poised to chase championship titles for years to come. The Baby Bombers details the inside-baseball strategy of the Yankees’ pivot to a younger, more exciting roster, the players’ fascinating paths to Yankee Stadium, their memorable 2017 playoff run, their amazing assaults on the record books, and a unified mission to hoist the franchise’s twenty-eighth World Series trophy. 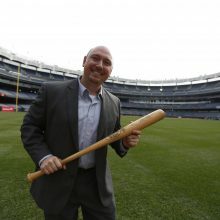 Through new, in-depth interviews, veteran reporter Bryan Hoch fleshes out the transition from Jeter to Judge, scoring behind-the-scenes insights from general manager Brian Cashman, former manager Joe Girardi, executives and scouts, members of the current roster, opponents, and Yankees legends of the past. Winning baseball in the Bronx will resume with postseason hero Aaron Boone in the manager’s chair, aiming to steer the franchise to its forty-first World Series appearance. Featuring nearly fifty photographs, The Baby Bombers tracks the rise of today’s Yankees from fresh-faced rookies into a group that is destined for pinstriped greatness. 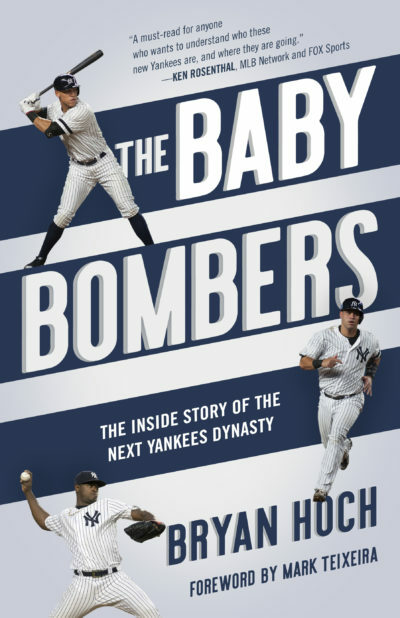 "The Baby Bombers...is essential reading for anyone following the [Yankees]." —Pinstripe Alley. Read the full review here.